Haters they are. Kepp yor friends close but your enemies closer. I'm not so sure that I would make the leap to identify them as "haters". Insensitive, sure. But perhaps that these events are held at all might be considered a good sign. After all if they truly were haters they wouldn't have been held. Now since many of them had no hope of looking anywhere near androgynous I'm sure that's why they acted so campy. Even some of the audience were feeling uncomfortable. which link had this person in it? I dont care what anyone say. This one is hot. Anonymous --- The link to that set of photos was one I did not delete; it is the last/third link in the list. I'm of two minds here... I appreciate the concerns expressed about the guys with beards - what are they 'thinking' ? - and their goofiness and I think they are so far removed they fail to sense their insensitivity - pity their female partners. On the other hand there is no point pretending that truly ugly pantomime doesn't exist. Buried in one of those collections of pictures was a younger male who really seemed into it... black dress, fishnets and apparently shaven legs... looked very good. I actually think some of those guys with the facial hair are simply compensating for some basic insecurity of their own. They are concerned, regardless of how much they'd like to express their inner feminine ego, to do so because of societal pressures in their very narrow out-looking part of the world. Life is neither all good, or all bad, it just is ! 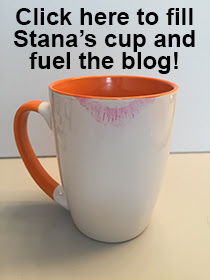 Thanks Stana for this incredible web-site. Anomymous, You do touch on a very valid point. The camp, the jest, the humor just could be a nervous mans perspective of what society would think of him should he really enjoy all the dress up! It's a step society is learning an taking baby steps in admitting. As for haters, there are some in this world, no doubt. But I don't think any of the links posted where from or by anyone with hate on their minds, just nervous laughter. I think that all above have provided good comments. I like the updates of womanless events. Part of me harbors a wish that some such event would come to my town to give me a chance to dress up and mingle with the civilian populations. I would just note that we who do read you blog do have a degree of freedom and with the click of the mouse we can skip over content that we choose not to spend time on. When I went through the original posting there were some events that I took one quick look at and clicked to the next. I do like my freedom and liberty. It is said "discretion is the better part of valor" ergo, discriminating has to be a close second! I'm still reading what you write! PS, Happy belated New Year! I hope you get it all according to your wishes!